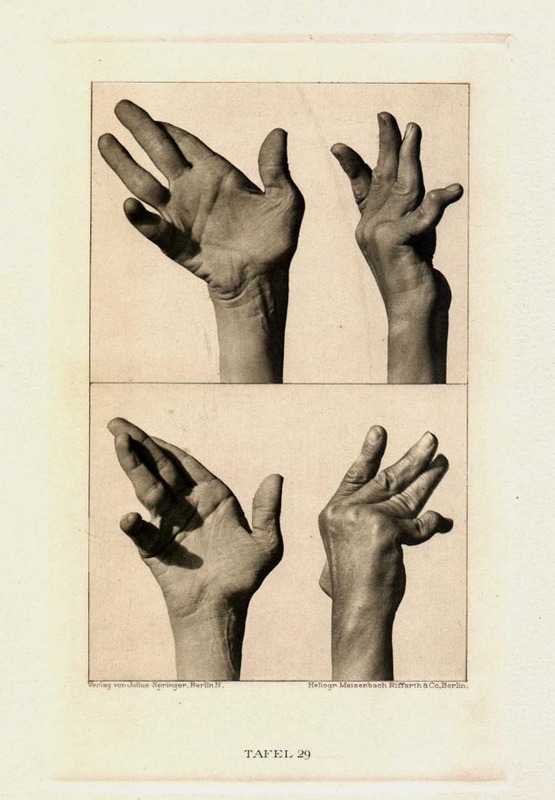 Case of hemiathetosis predominantly of the right hand, as a corollary symptom of cerebral infantile palsy. The hand is depicted in varying characteristic positions following one after the other. 57 year old unmarried retailer, who could provide no reliable details about the time and circumstances of her sickness in infancy.